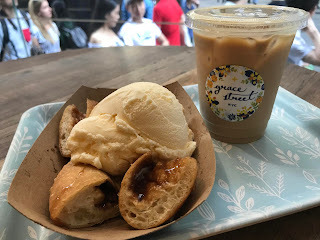 In anticipation of Vanilla Ice Cream Day on July 23, thought I would post yet again about Grace Street in Ktown. 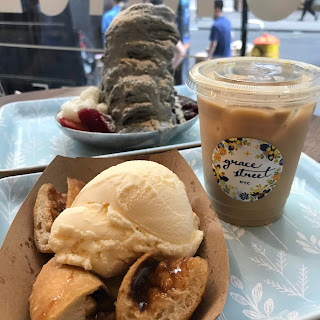 This time, we got the hodduk (Korean pancakes) with vanilla ice cream, along with our usual OG bingsu. I'm sure it really, really seems like I'm a huge fan of Grace Street, but it really is because it's so accessible for all my friends. I guess the hodduk, a Korean street pancake stuffed with sugar and nuts, was one of their claims to fame a while ago, but I thought it was just so-so. It's too thick, it's made with far too much batter. Otherwise, it's kind of just okay, I probably wouldn't order it again since they're so easy to make at home. The filling is molten brown sugar with cinnamon and walnuts, which is fine, I guess. I kind of don't like that they cut it into quarters for you. Part of the joy of eating hodduk is eating it folded over with the molten, hot sugar mixture oozing out of it. With it cut up, it gets cooled off far too quickly. Texture wise, it's too fluffy. I think maybe they use a different type of flour than is usually used in hodduk. It really just looks like bread. It's also not very fried...it should be golden and crispy and still greasy. So, that all being said. It's over-hyped in my opinion. It's awkward to share because they slice it into quarters for you. 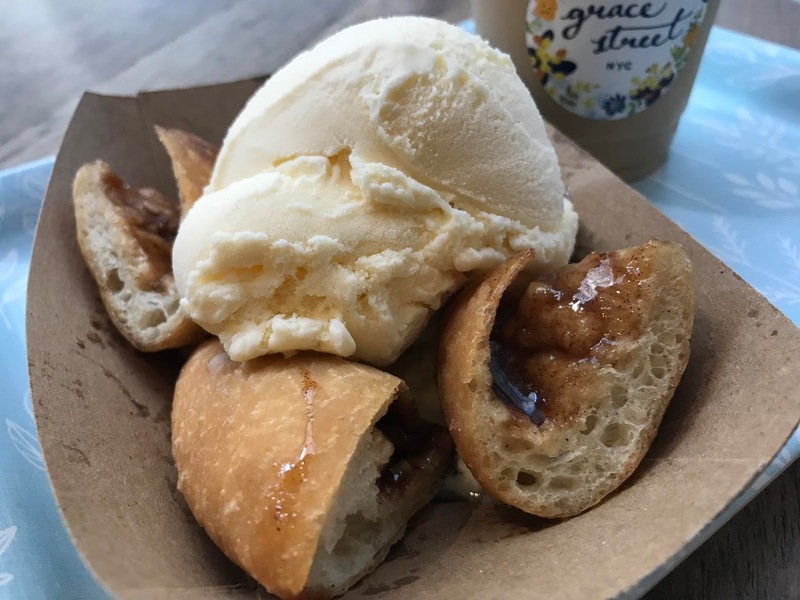 This is the OG Bingsu. It's my usual go-to flavor of black sesame. 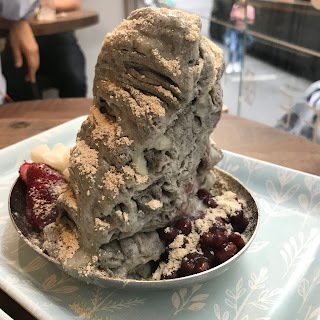 This style is more Taiwanese style shaved ice since it's more sheetlike than a typical bingsu would be. It's dense and not as fluffy. This one has misugaru, sweet mochi pellets, strawberries, and red bean. 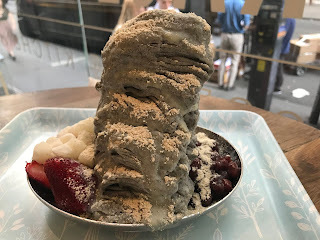 This is one of the only places to get Korean bingsu in the City, so I think I'll have to keep going back, but if there's another place that opens soon that serves fluffy snow style bingsu, that will easily become my new go-to.